The MCSO Reserve Unit formed in 1954 under Sheriff Ed Anderson having the title Sheriff’s Posse” and “Sheriff’s Auxiliary.” In 1969 Sheriff Stanley Jansen settled on the name “Mason County Sheriff Reserves” which remains today. 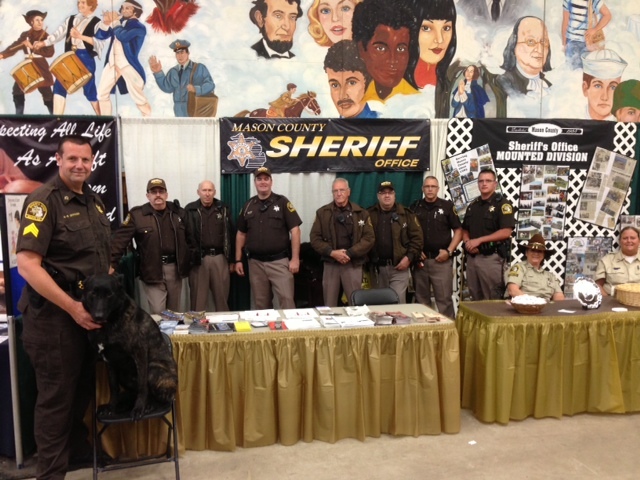 The Mason County Sheriff’s Office Reserve Unit is a group of 20 men and women from Mason County who volunteer their time to assist the Sheriff in carrying out the duties of the office. In the early days the Sheriff’s Reserve Unit oversaw the only “Jaws of Life” unit in the county. Today various fire departments run the jaws and the Sheriff’s Reserves shifted duties which include working traffic details to working security with the mounted division during fair week.